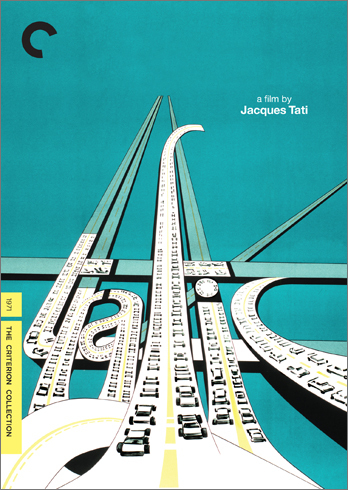 Jacques Tati’s journey with the endearing, whimsical and Chaplinesque character of Monseieur Hulot, that formally began with Honsieur Hulot’s Holiday, but in essence with his charming debut film Jour de Fête, and reached dizzying heights with Mon Oncle and Playtime, reached its closing credits with Trafic. He had become financially bankrupt when the incredibly audacious and scorchingly satirical Playtime failed at the box-office; hence he returned to a gentler style, lighter satire and oddball comedic tone for his Hulot swansong. Here, the bumbling, idiosyncratic, pipe-smoking and trench-coat wearing Hulot (as always, played by Tati himself), whose naiveté and simplicity has forever been asynchronous to the times he lives in, is a designer at an automobile firm, and is given the responsibility of transporting the company’s latest creation – a camping car, that, with its incredible gadgets and features, would give James Bond’s cars a run of their money – from their Parisian facility to an auto-show in Amsterdam. Accompanying him is a perky and pompous PR agent (Maria Kimberly). Of course, things don’t go as planned, and when they finally manage to reach their destination, after numerous unplanned stoppages, detours and accidents, it is too late. Tati’s love for satirical takes on modernization and technology, and quiet nostalgia for the 'good old times' that his protagonist was representative of, took centre-stage in this amusing and understated outing as well. Though nowhere at par with its predecessors, it had its share of charm, humour, wit and gags, and a hilarious, deliberately exaggerated and brilliantly choreographed accident sequence was easily its most memorable moment. "Though nowhere at par with its predecessors, it had its share of charm, humour, wit and gags, and a hilarious, deliberately exaggerated and brilliantly choreographed accident sequence was easily its most memorable moment." I would have to agree here lock, stock and barrel. A solid work, but not among Tati's best films. Yes, it might be the least of the 4 Hulot films that Tati made - but that's simply because the other 3 were incredible works. This was a pretty solid work alright, with enough flashes of Tati's comedic genius.